Park Hyatt Beaver Creek, Commence L’Adventure! Four amazing seasons; brilliant blue skies; temperatures that let you work up a sweat without overheating…and glorious views from atop peaks piled with fresh, untainted powder? 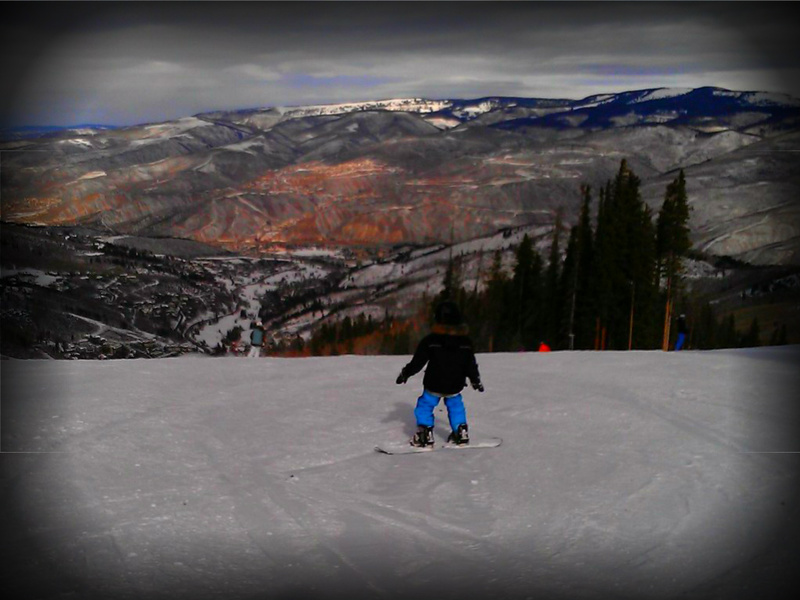 Oh no, it’s not a dream ~ this is COLORADO ski country. There’s just something about the freedom, coupled with the awe of such a magnificent creation – an offering of unrefined nature at altitudes of such magnitude…ok, so maybe I need more oxygen up there, right? Well, if delusion are my poison, I’ll take them because this really is the stuff dreams are made of. That is precisely the reason I don’t just want to – I have to – teach my children the skills to get them to the top of those majestic peaks…not metaphorically (well, yes, that too)…rather literally, to the summit because, even if the only way down is intimidating at best, there’s just something incredible about the whole experience. So, where does it all start? At the base of the mountain – and if you’ve planned your vacation to perfection, you’ll eat, sleep and play at the base, slowly working your way to the top. Sound intense? 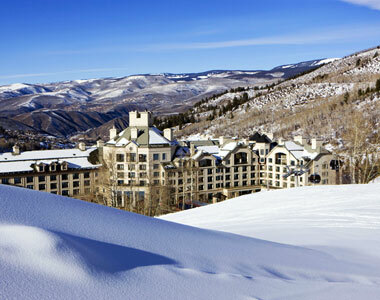 Not so much…I’m talking about luxurious accommodations at the Park Hyatt in Beaver Creek. Children’s ski school is located right next door. Benefit: no shuttling in to drop the kids off (important need-to-know tip, because if you’re traveling to the base of the mountain every morning, you’re loosing a lot of value in your ski-in/ski-out accommodations). You won’t get lost! I may be one of the few people truly at risk for this, but having spent an inordinate amount of time navigating my way back to resorts nestled in discrete locations on the mountain, I can attest – this is an important feature, ha! 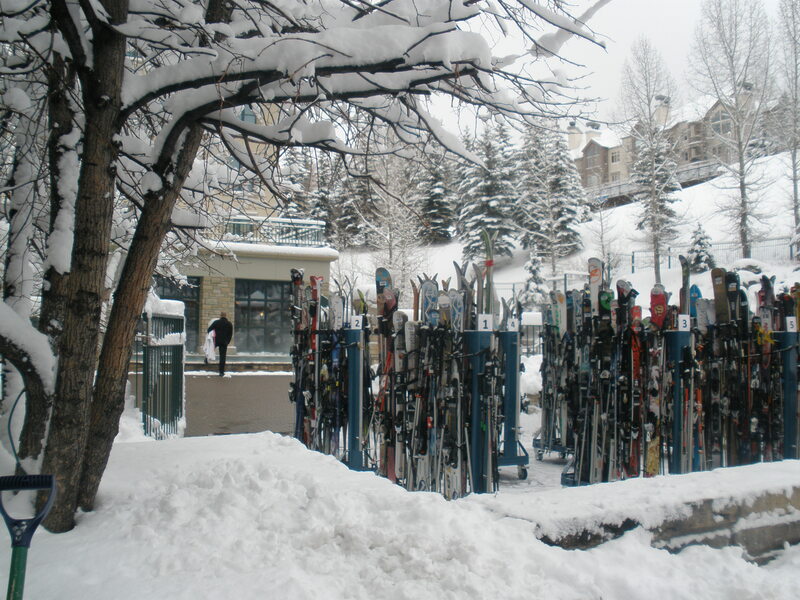 Ski and boot valet. Not just a fancy locker room with automatic doors and boot warmers – this is the real deal. If you’ve ever tried to juggle skis, boards, boots and poles for – not just yourself – but you kiddos too, you understand the value of this service. 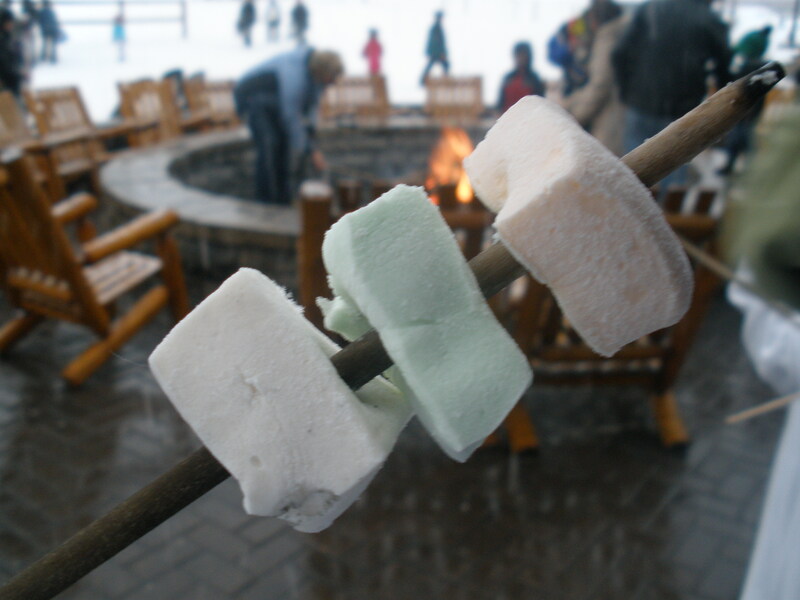 Après Ski S’mores by the fire pit…including HOMEMADE MARSHMALLOWS. I kid you not. Gourmet flavors created to marshmallowy, melt-in-your-mouth perfection. Your kids will love ‘em too, wink! All the other wonderful offerings that a five-star resort and spa might have to offer…breathtaking views, fabulous dining, heated towels and robes, outdoor pools, jacuzzis galore, heated walkways, kid-friendly hot toddy hut, full-service spa, hot cocoa in the lobby, wonderfully cozy beds, turn down at night – lovely toffee bars (I may have gracefully accepted the bars but gave a rain check on the service…and he offered a couple extra bars – good trade) and pretty much anything and everything you might want…because I’m pretty sure they’d do it for you! 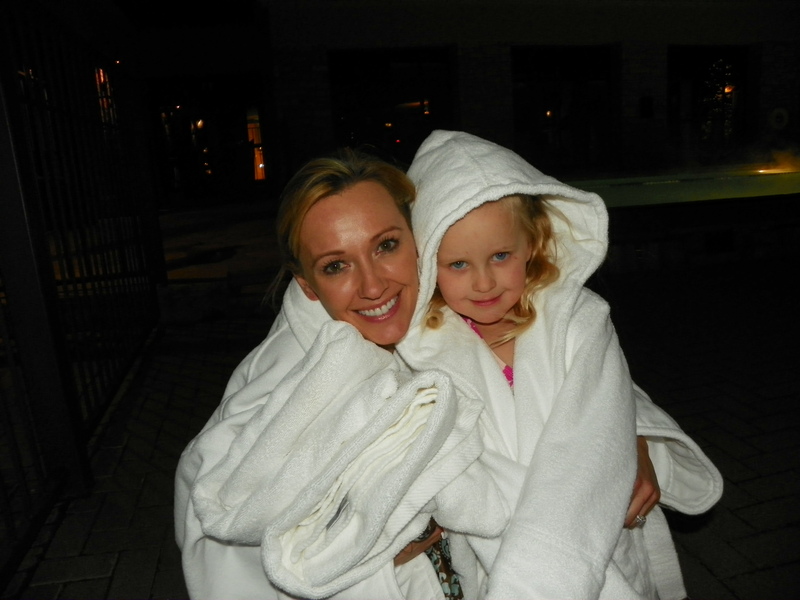 That’s one of the greatest things about the town of Beaver Creek – they have impeccable customer service! VIEW OUR FULL VACATION PHOTO JOURNAL! Thanks to Park Hyatt for being a gracious host, putting up with my quandaries, welcoming families, taking a green initiative…and for loving our furry babies!